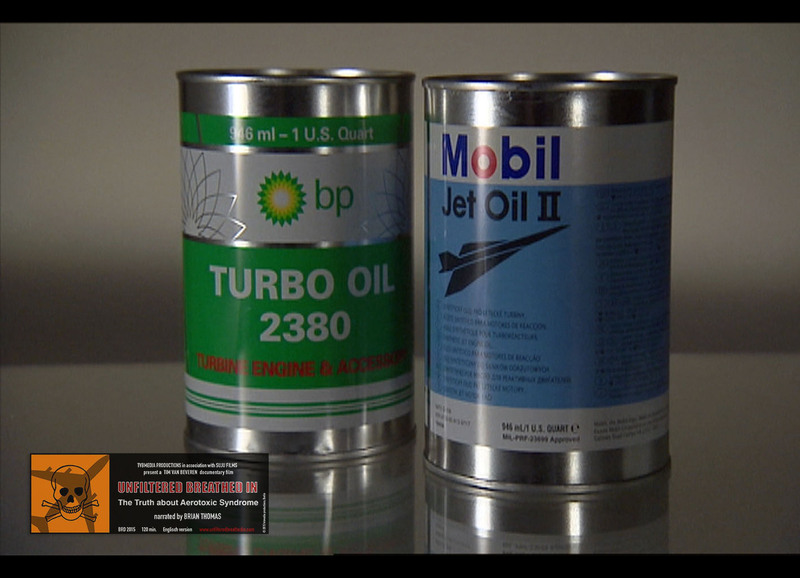 In 2003, Exxon-Mobil removed the substantive health hazard warnings from its cans/MSDS of MJO254. 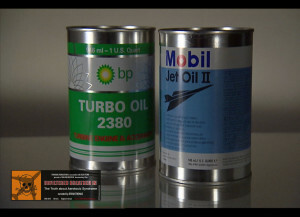 The AFA-CWA Air Safety, Health and Security Department anticipated that the company would do the same for its other two big-selling engine oil products — MJOII and MJO291. ExxonMobil justified this change based on a study in which 20 hens had ingested some oil and were not paralyzed, essentially. That research is described in the June 2003 PowerPoint to an airline customer (Alaska Airlines) and AFA also found the abstract which was presented at a Society of Toxicology meeting in 2003, but was never published as a paper, from what AFA can tell. Both Material Safety Data Sheets (MSDS) for MJO254 — the one approved in Jan 2003 (pre-research) and the one approved in Aug 2003 (post-research) are quite different! In view of experts, the (relatively) honest health hazard assessment on the Jan 2003 MSDS was becoming a problem for ExxonMobil (and their customers) because affected crews were taking it to ER/medical appointments and it was getting press. So apparently the language needed to be changed. In Feb 2004, AFA sent a letter to OSHA explaining that, in removing the health hazard warnings, ExxonMobil had violated OSHA’s hazard communication standard because the study it had conducted did not justify removing the health hazard warnings. OSHA agreed with AFA, and in Aug 2004, cited ExxonMobil with failing to comply with the OSHA hazcomm standard. OSHA imposed a “proposed penalty” of $1700 (see p.7 of the “OSHA Citation 2004.pdf” file). For normal people it will be always be difficult to understand that language, – how can a penalty be “proposed?” If I propose to kid that he or she has a time out, and give him/her the opportunity to negotiate with me, he won’t end up having the time out. But that’s what OSHA did. 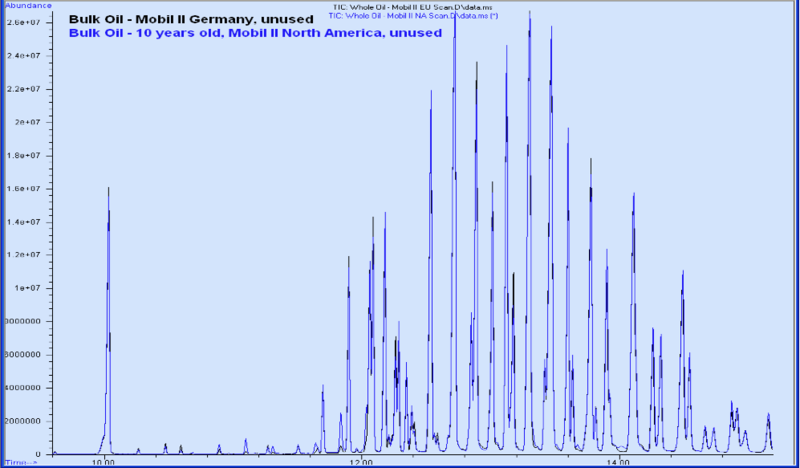 Again, compare that to the MSDS dated Jan 2003 for the same product. OSHA told AFA that they didn’t have the funds to fight ExxonMobil — that Exxon would outspend them in a minute. Plus, they said, it was summertime and staff wanted to take vacation. AFA wrote a similar complaint to OSHA regarding the utterly inadequate health hazard warnings BP engine oil MSDS in June 2010. A year later (July 2011), OSHA responded, noting that they had written to BP on the matter and they deemed BP’s response to be unsatisfactory. But then OSHA dropped the ball, despite AFA’s multiple follow up calls, which were ignored. 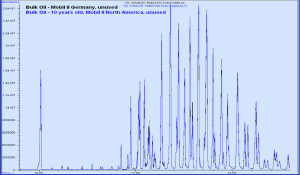 the oils were identical in composition, the chromatograms did perfectly align.